This year Hey Sunshine is proud to present a fundraising initiative for Red Dust. Red Dust is a health-promotion organisation working in remote Indigenous communities in the central and northern regions of the Northern Territory. 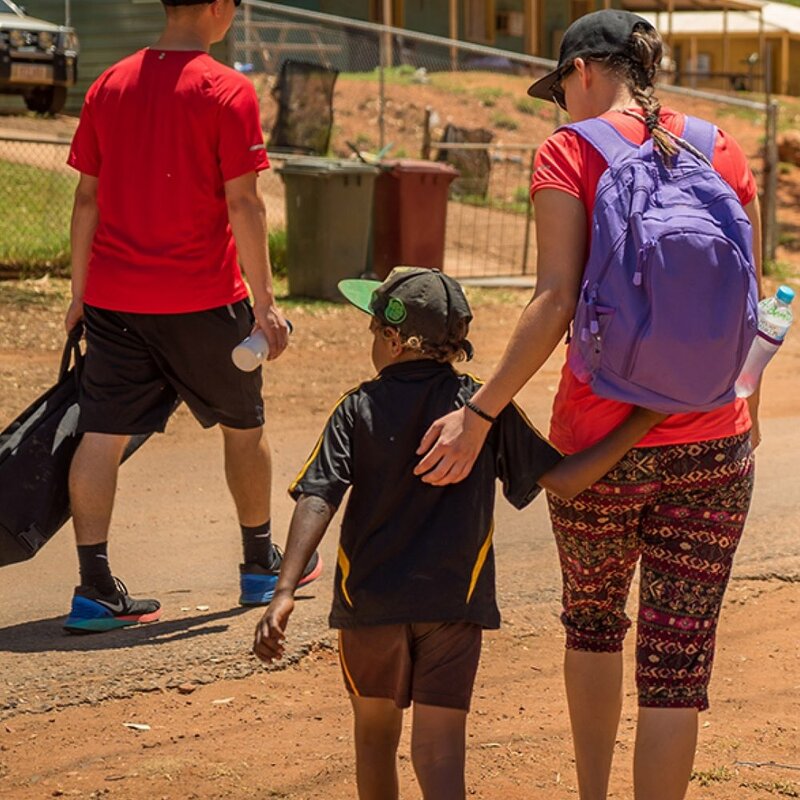 The Hey Sunshine organiser is a registered nurse at Alice Springs Hospital, working between the surgical ward and emergency department, seeing firsthand everyday the health issues of our Indigenous people, who are heavily impacted by the burden of multi-complex chronic diseases. Red Dust are doing amazing work and achieving great outcomes in breaking the cycle of intergenerational chronic disease via their programs for health promotion and improving health literacy in these Indigenous communities; especially for the younger generation in areas such as Tiwi Islands, Daly River and the central Australian communities of Yuendemu, Kintore and Areyonga. Their mission is to work together to enrich lives, improve health and strengthen the future of Indigenous youth and families. Local Byron resident, Bundjalong and Gumbaynggirr Nations man and professional surfer and artist Otis Hope Carey has donated one of his sought-after paintings which will be raffled off at the event raising money for Red Dust. Buy a raffle ticket at Hey Sunshine for your chance to take home an Otis Carey original, and support this wonderful organisation. Thanks Otis for your donation! And thank you Red Dust for your invaluable contribution! Check out some Otis Carey art here. Read up on Red Dust here.